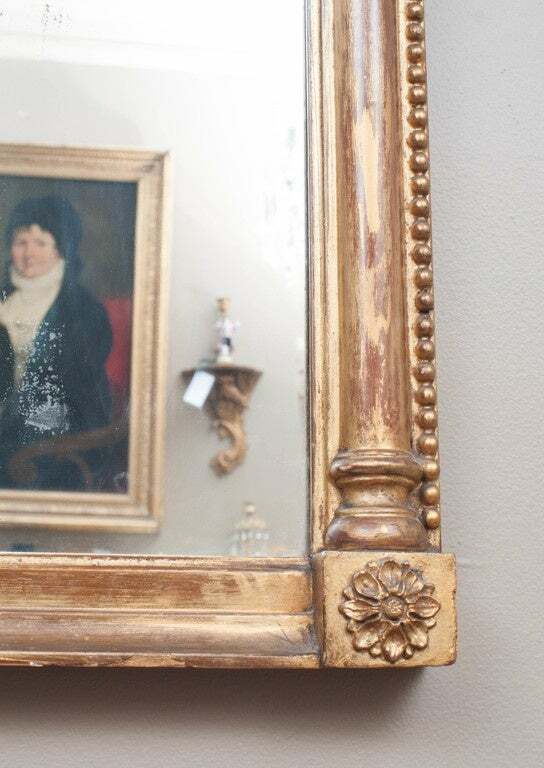 Gold leaf and gilt on wood - great patina with some red showing through - old glass. Minor old and new repairs - some gold loss. 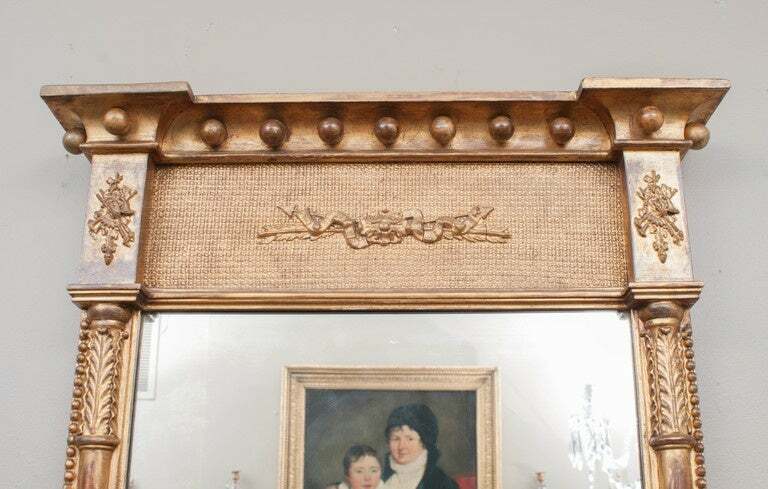 The frame is gold leaf with excellent carving and was probably made in New England or New York. The églomisé panel appears to be original. 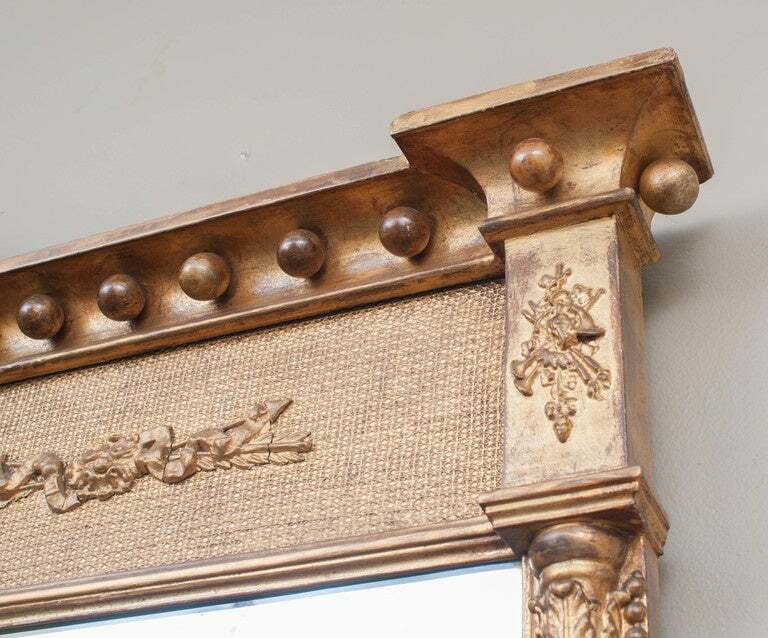 Gold leaf on gesso on pine original back and glass acorn finials rope twist columns probably made in New England. 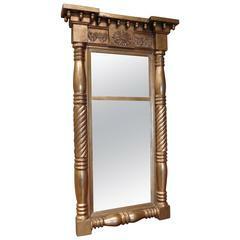 Glass appears to be original gilt and gold leaf excellent decoration including foliate garland, swags and ram's heads. 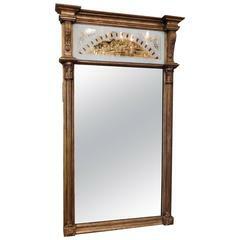 Stunning high gloss black lacquered Rococo style wall mirror. 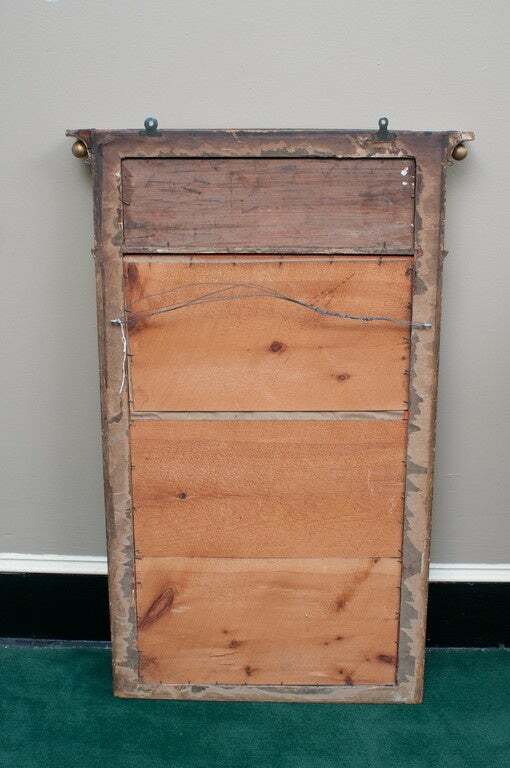 Made of carved wood and ready to hang with existing hardware. 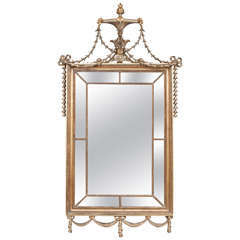 Hollywood Regency style mirror in the style of LaBarge with shell gold leaf cartouche design decoration atop the oval. The oval at the top resembling Classic Louis Philippe style. 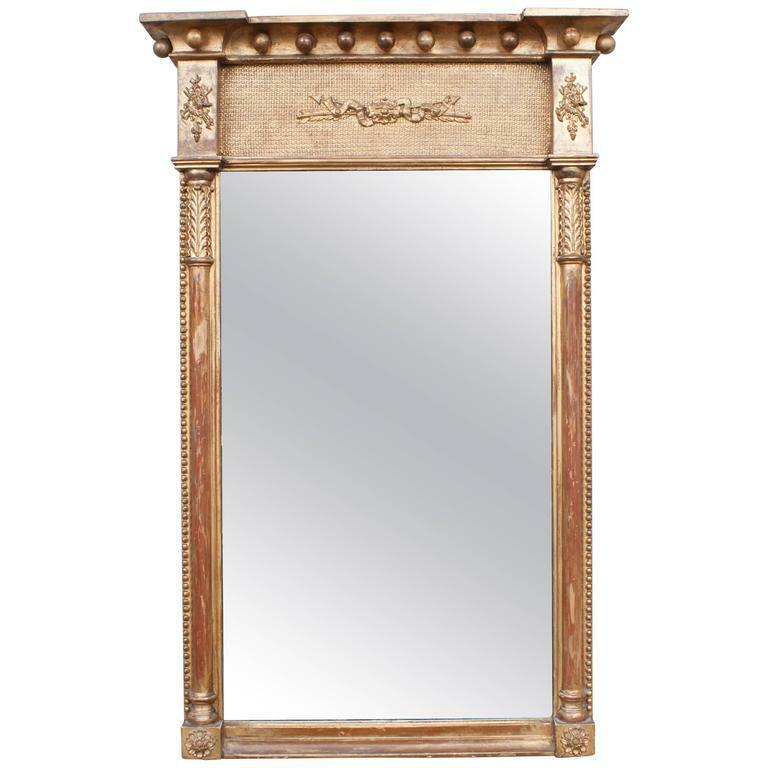 French gold leaf and cream color mirror, circa 1890.